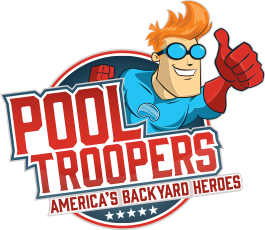 Maximize pool time, with a repair team that always has your back. 1. Our Mechanics are trained, licensed and insured. The best use of automation is to switch a pool spa combo from pool mode to spa mode and back again. With one button, you can make the switch, enjoy the spa, and then switch it back after your relaxing soak with the same simplicity. We sell and install the industry’s best brands and focus on energy efficient pumps and motors, proper sizing, hydraulic efficiency, correct plumbing, and safety when selecting the best equipment fit for your pool. All new equipment quotes are FREE to our service clients. We guarantee you will save $1,000 over a three-year period if you switch your 1-hp or larger induction motor to a new energy efficient variable speed motor. We feel so strongly about this savings we also warranty the motor for the whole 3 years! Our $100 initial minimum charge covers the first hour of labor for the mechanic at your pool. If the job goes beyond one hour, the billing is in quarter hour increments. No, our on-service customers (chemical or cleaning service) never pay for travel time. What does an estimate consist of? We complete a comprehensive trouble shooting audit, pin point the problem and then provide you with the estimate for the fix, including any replacement parts. Do you install used parts? No, we do not install used parts, or parts of unknown origin on any pool.